In order to set up this integration, make sure you are logged in as an Admin in SugarCRM. You will need to access the SugarCRM Administrator Dashboard many times throughout this setup. This can be found in SugarCRM at the top right of the window under the silhouette icon and Admin. This next page has fields that will require steps to be completed in SugarCRM before they can be completed. Follow the steps in the next sections to complete the setup. We need to create a new API Platform that iCapture will use to connect with SugarCRM. This will be set from the admin dashboard. Fill in the API Platform name in the Platform field for the iCapture integration. A new OAuth key must be used to authenticate iCapture with SugarCRM. 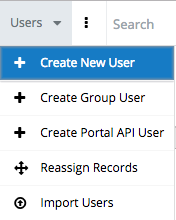 The OAuth Key menu is accessed in the Administrator Dashboard in SugarCRM. On the Administrator Dashboard, go to System > OAuth Keys. On the Create OAuth page, you need to create three items: Consumer Key Name, Consumer Key, and Consumer Secret. The OAuth version must be set to OAuth 2.0 with a Client Type of Sugar user. Fill in the Client Key and Client Secret fields with the values created here in the iCapture integration set up. A new user will need to be created for iCapture to use in order to communicate with SugarCRM. Use the Administrator Dashboard to access these settings. Create a new user with any information you would like. We recommend using information that will associate that this user is used for iCapture such as a first name of iCapture and last name of API and a username of icaptureAPI. Create a password for this user and fill in the fields in the iCapture Integration set up page with the values for the user. The last step of the integration requires finding the API Domain URL for your SugarCRM setup and adding it to the iCapture field. You can find this on your Profile dashboard in SugarCRM. 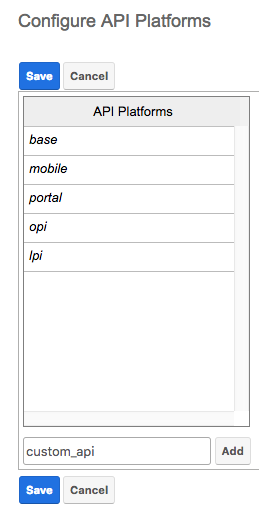 Fill in the API Domain field on the iCapture Integration setup with this URL. Click on Save to complete the setup of the SugarCRM integration. You will get a message saying Form successfully updated! if this has been completed correctly. In the Click Here to Select Integration drop-down select your SugarCRM integration and click Add List Assignment. The SugarCRM API allows access to Lead, Contacts, and Prospects from the Object menu with various actions available for each type of list assignment. The Assign to Target List option will allow you to select a Target list to assign these captures to. Click Create List Assignment to complete the setup. When you have mapped all of your fields click Submit Field Mapping to save the mapping.